Your SVU marathons just got a lot healthier. This apple chip recipe will transform your cravings for greasy potato chips to something sweeter and healthier, but with the same satisfying crunch. 2. 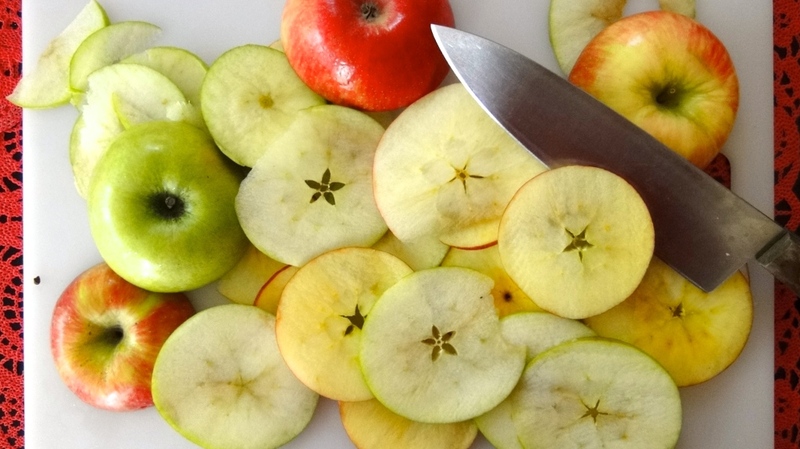 Cut apples horizontally into thin slices. Note: if the apple slices are too thick, they will not turn as crisp in the oven. 3. Arrange apple slices on a metal baking sheet. 4. 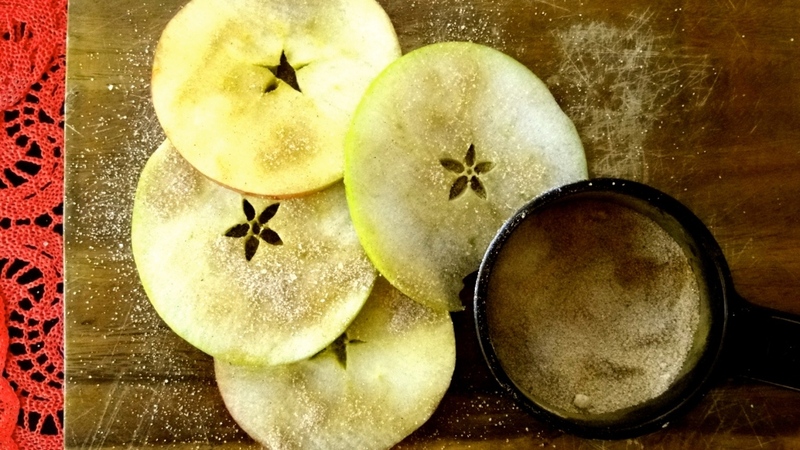 Mix sugar and cinnamon together and sprinkle half of mixture over apple slices. 5. Bake apples in oven for 1 hour. 6. 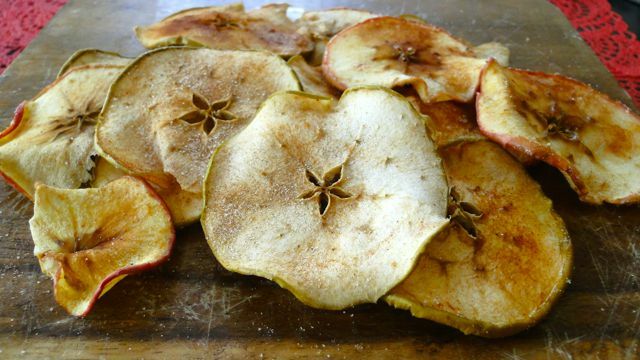 Flip apple slices and sprinkle remaining cinnamon sugar mixture over slices. 7. Bake apples for 1 more hour or until desired crispiness. Looking for more? Check out this article to learn how to make a variety of vegetable chips.